Despite being an excellent horror-action title that was praised by most critics, the original Alan Wake experienced a red death on the sales front due to poor release timing. In part motivated by the game’s big budget and subsequently disappointing sales figures, developer Remedy Entertainment decided to trim back the development scale some for the series’ next release by making it an XBLA exclusive. With Alan Wake’s American Nightmare’s February 22 release right around the corner, Gamasutra posted an interview with Remedy Managing Director Matias Myllyrinne yesterday that explored some of the details of the project. 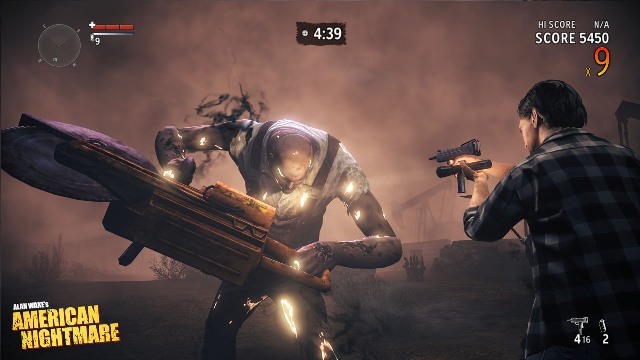 Despite supposedly being more ambitious than its arcade brethren, Wake’s latest was still designed with “instant pick up and play fun.” The team at Remedy believes this approach will help the game successfully meet the expectations of XBLA players. While the story remains an integral part of the experience, it’s going to be playing on the side stage in support of the main draw: pure action. If you’ve been following the game intently and are now sitting there, thinking “tell me something I don’t know,” then Myllyrinne’s response to a question about the in-game TV show Night Springs, may hold more interest for you. Picking up on a small stylistic detail that most of the press had previously overlooked, the interviewer brought up the fact that there are faux scan lines added to the broadcast. One such line can be seen running through the screen just after the 30 second mark of the trailer. Gamers can judge for themselves how the minor gamble pans out in just over three weeks. 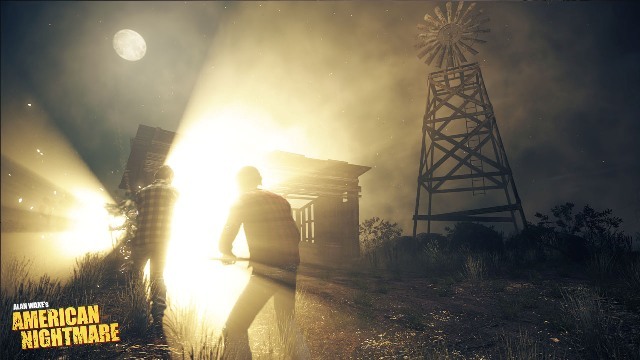 In the meantime, you can peep the full interview over on Gamasutra for details on aspects of American Nightmare such as its camera, flashlight mechanics and intentionally campy nature.